Tres Orix is ​​the combination of 6 active ingredients that together help the body to produce energy; Blocking of histamine and serotonin in the body; inhibit the growth of the herpes simplex virus by eliminating arginine; metabolizing carbohydrates maintain normal growth; Production of antibodies and hemoglobin, keeping the blood sugar level in the normal range; and Treat vitamin B12 deficiency. Cyproheptadine- is a first generation antihistamine with anticholinergic, antiserotonergic and additional local anesthetic properties. Carnitine HCL-is an amino acid that occurs naturally in the body through the conversion of L-carnitine and is used by cells to produce energy fuel. It is also involved in a variety of processes that regulate muscle movement, as well as the functioning of the heart and brain. Lysine HCl-is an amino acid (basic component of the protein) and is also known as L-2,6-diaminohexanoic acid, Lysine, Lys, lysine hydrochloride, lysine monohydrochloride and other names. Lysine has been used in alternative medicine as a potentially effective aid in the treatment of cold sores due to herpes simplex. Vitamin B1- also known as thiamine, is a coenzyme that the body uses to convert food into energy and to maintain proper functioning of the heart and nerves. Thiamine is used to digest and extract energy from food by converting nutrients into usable energy in the form of “ATP”. Vitamin B6- also known as pyridoxine, is one of the vitamins in the vitamin B complex family. All B vitamins, including vitamin B6, play an important role in a number of physical and psychological functions. They are best known for maintaining a healthy metabolism, nerve function, liver function, skin health, eye health and helping to increase energy levels. Vitamin B12-also called cobalamin, is a water-soluble vitamin that plays a key role in the normal function of the brain and nervous system through the synthesis of myelin and the formation of red blood cells. Anorexia in children, adolescents and adults. Retardation in growth, habitual vomiting. Emotional instability when accompanied by anorexic crisis. The effects are usually observed between 4-10 days after the administration.Treatment can be continued for a period of one to two months with rest period of 15 -30 days with out any undesirable side effects having been noticed or any alterations of humoral constant. Tres Orix Forte Syrup may also cause side-effects not listed here. It is also contraindicated innewborns. 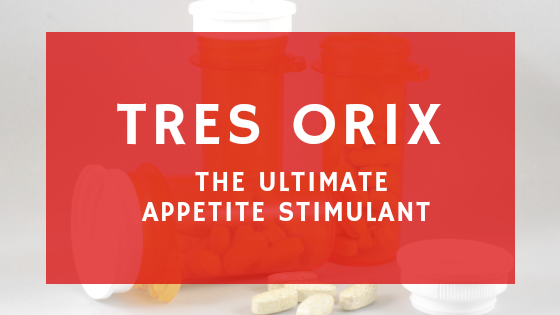 Tres Orix is good for stimulating appetite. For adults a suitable dosage is 1 tablespoon twice daily that you should take before meals. For infants 2 teaspoonful of 2.5ml twice daily. Some medicine increase the effect of other medicine. Tres-Orix Forte should not be administered simultaneously with other medicines which are Central Nervous System depressants. It is the combination of different vitamins and supplements used for weight gain and improvement of appetite. Is Tres orix safe in pregnancy? Tres orix is the combination of different vitamins and supplements. Some of them may be safe and some may be harmful. It’s better you consult your physician. Is Tres Orix Safe while breastfeeding? There are no data on the excretion of Tres Orix Forte into human milk. The manufacturer recommends that due to the potential for serious adverse reactions in nursing infants, So it’s better to consult your physician. Does Tres Orix help in weight gain? Yes this syrup improve appetite and help to stimulate the brain to eat which slows down the metabolism and gaining in weight occur. Can is take Tres Orix Forte Syrup for vitamin b12 deficiency and anemia? Yes, vitamin b12 deficiency and anemia are among the most common uses of this Syrup. Should I use Tres Orix Forte Syrup empty stomach, before food or after food? Mostly before food. However it’s better you consult your physician. Is it safe to drive or operate heavy machinery when using tres orix forte? if you are feeling dizziness, drowsiness or any weakness after taking this syrup, Then it’s not safe to drive or operate heavy machine after consumption.